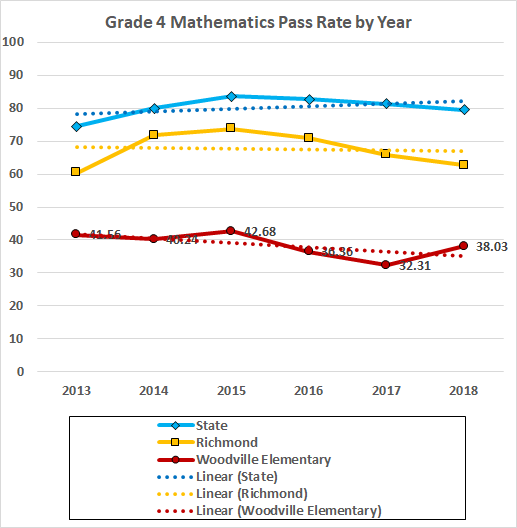 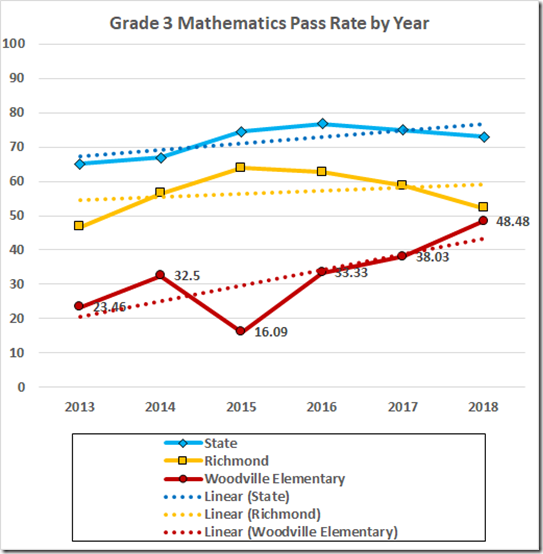 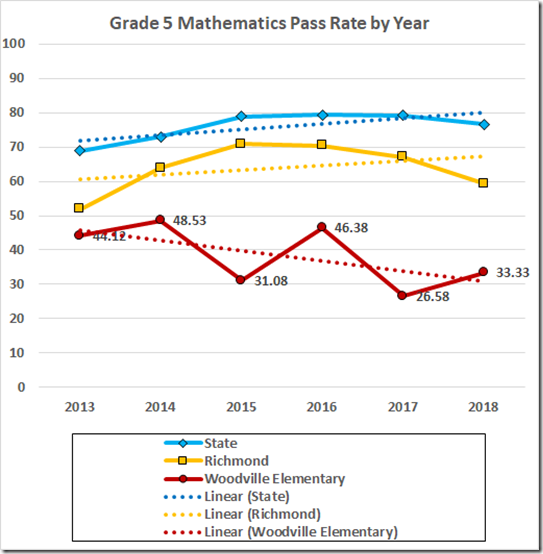 On the all subject average, Richmond’s Woodville Elementary School has the fourth worst pass rate in the state, 33.82. 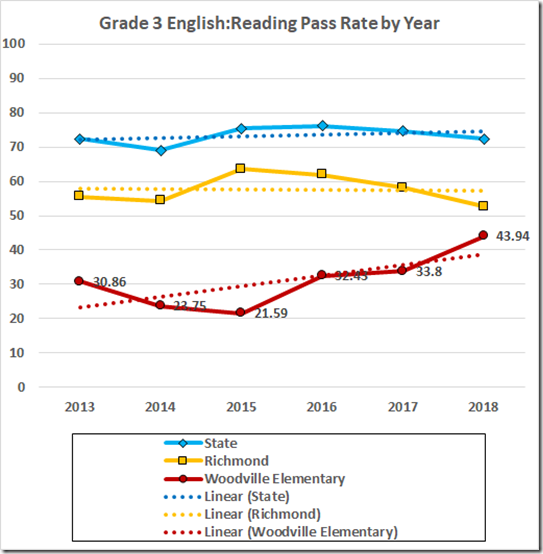 Woodville’s reading average was 36.5; math was 40.0. 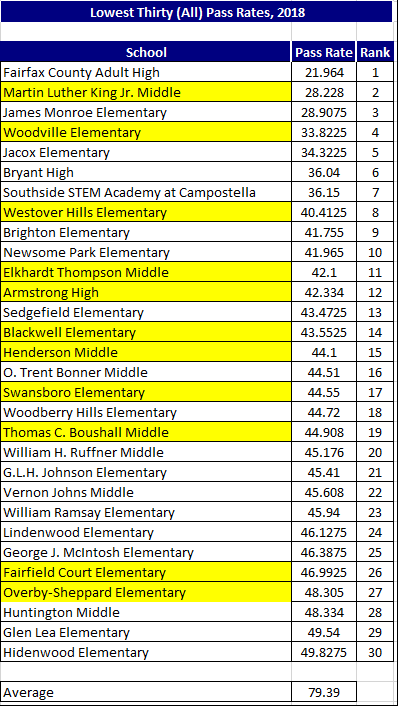 History was 34.3. 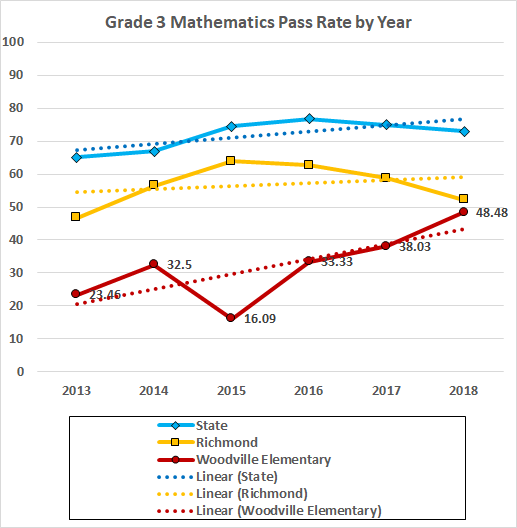 It was the 24.6 in science that brought the average down. 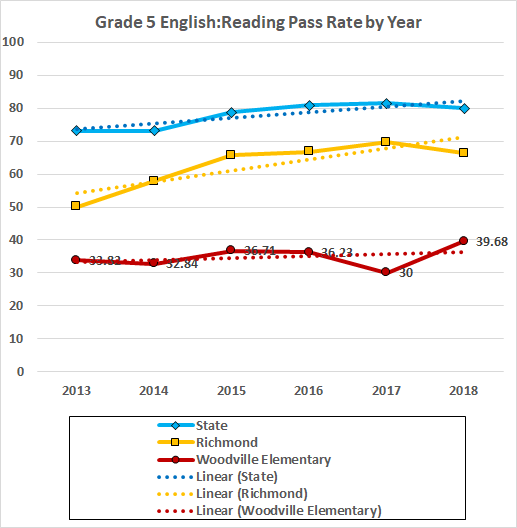 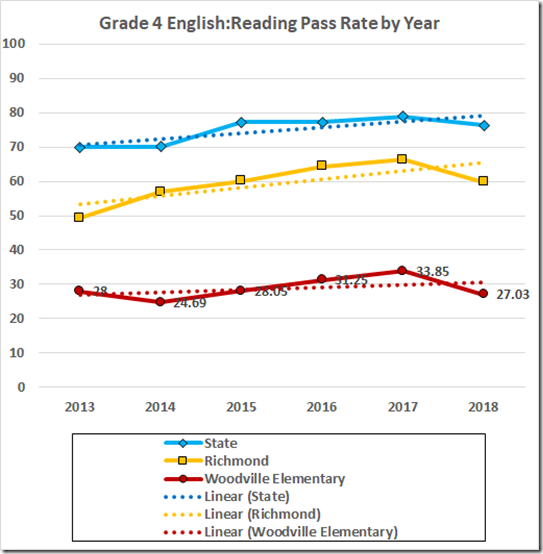 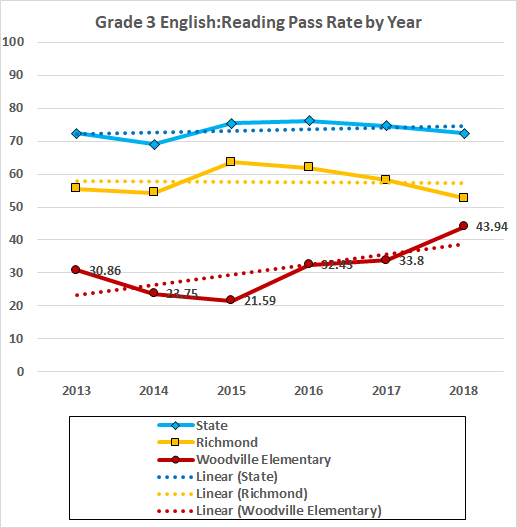 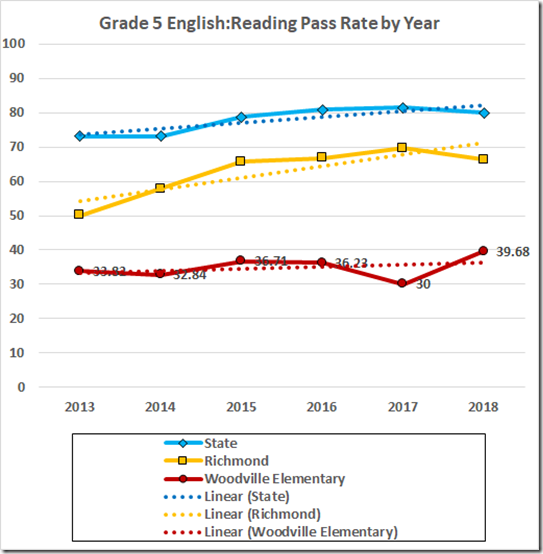 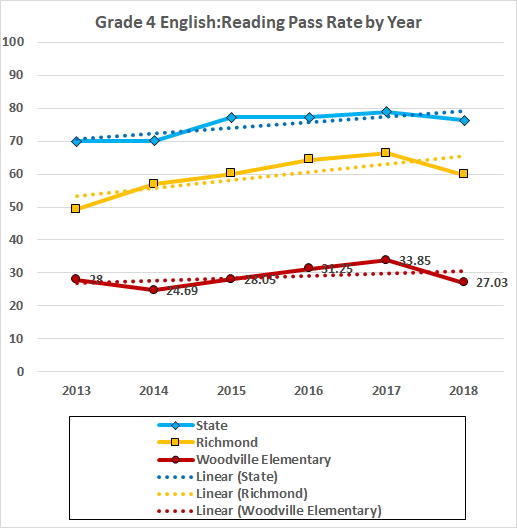 The third grade reading scores have been improving in recent years (although if a 44% pass rate qualifies as “improved,” it’s hard to think of what came before without shuddering). 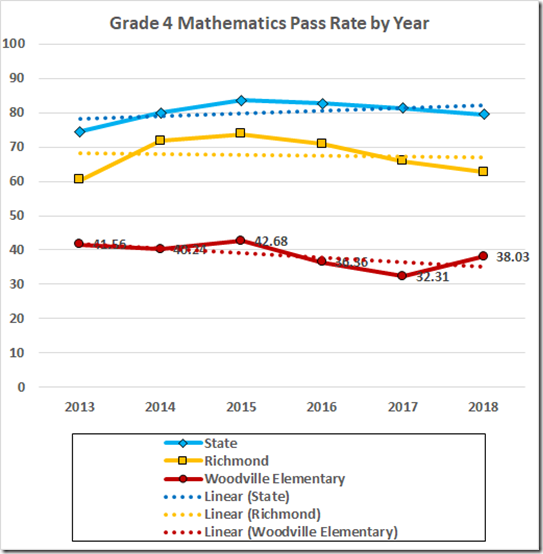 The higher grades, not so much. 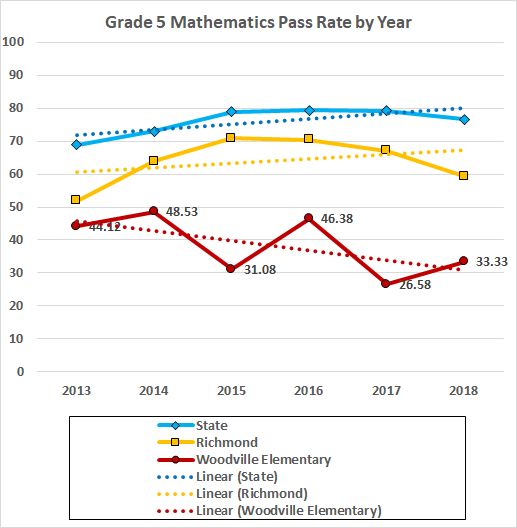 The pattern mostly repeated on the math tests, albeit with drooping pass rates in the fifth grade. 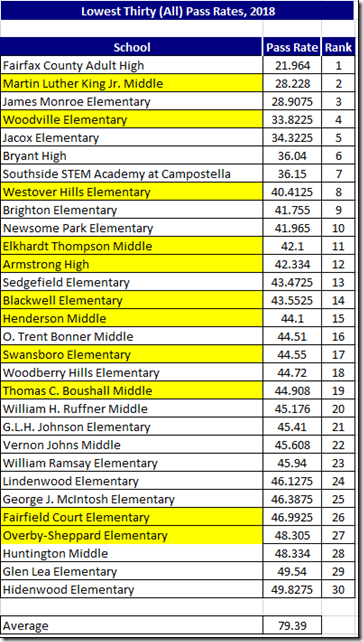 One can think of Woodville as a (very expensive) ad for the County schools.